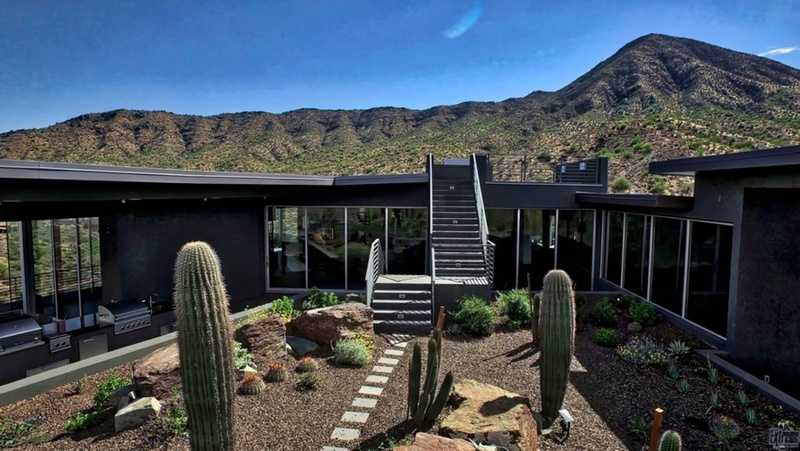 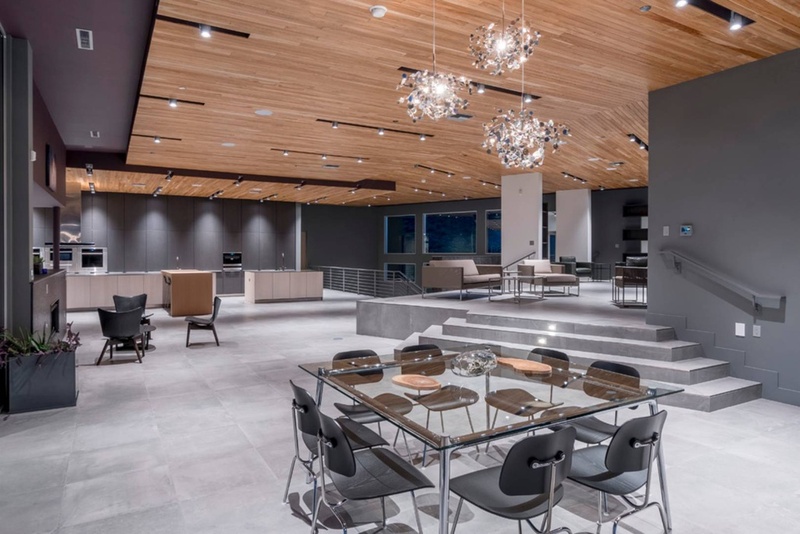 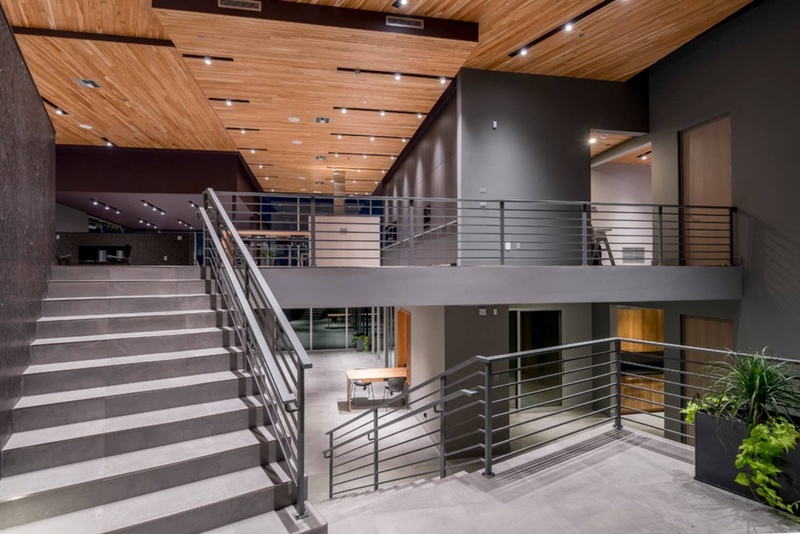 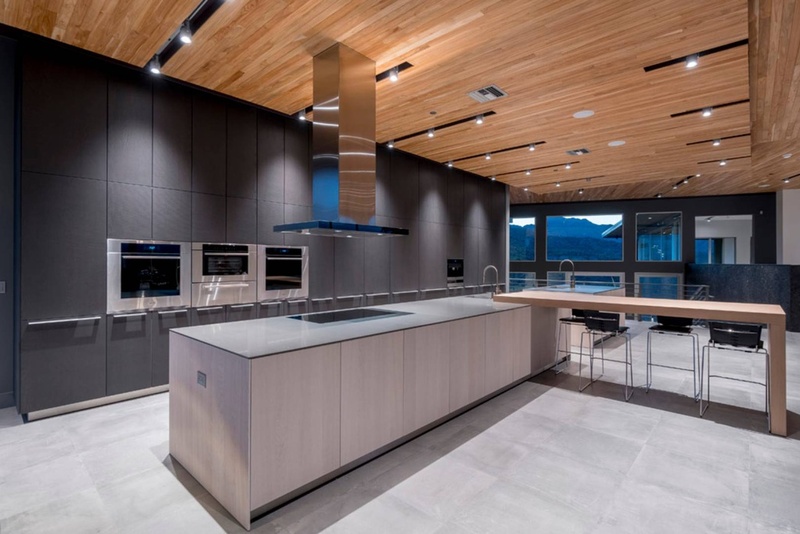 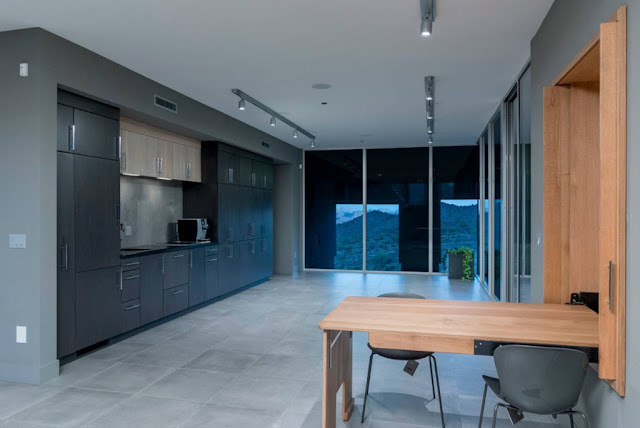 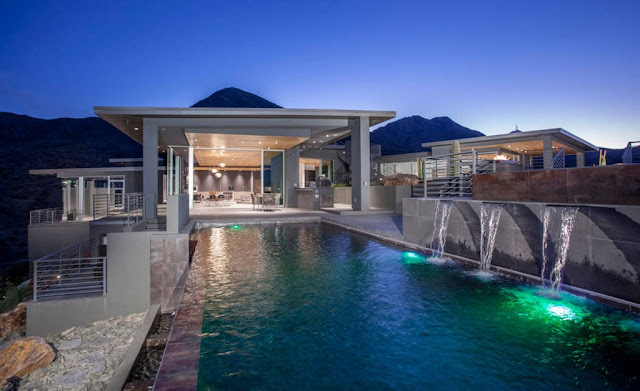 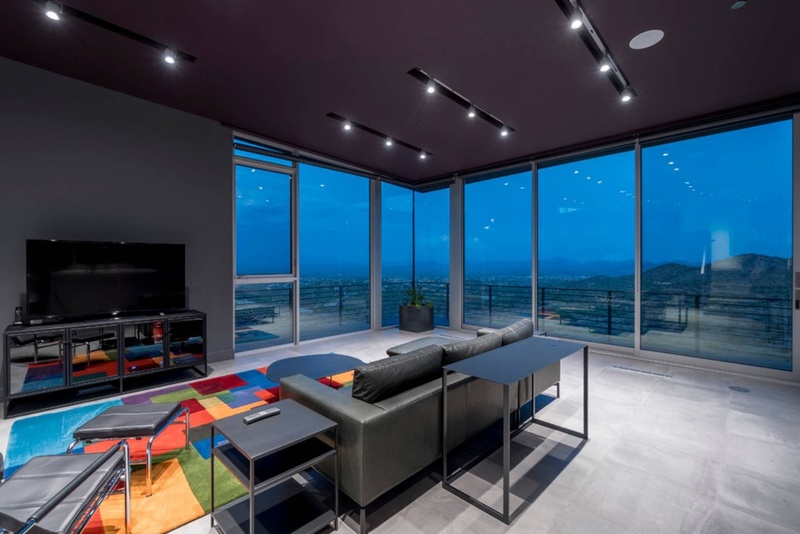 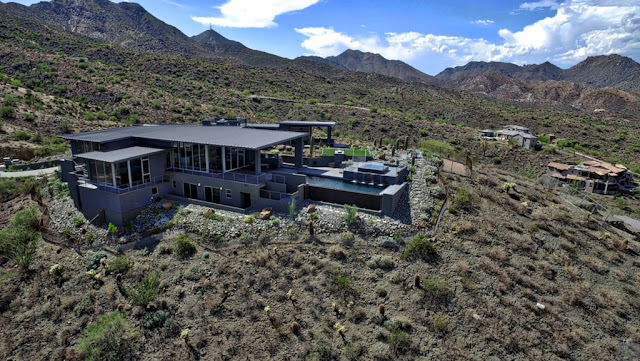 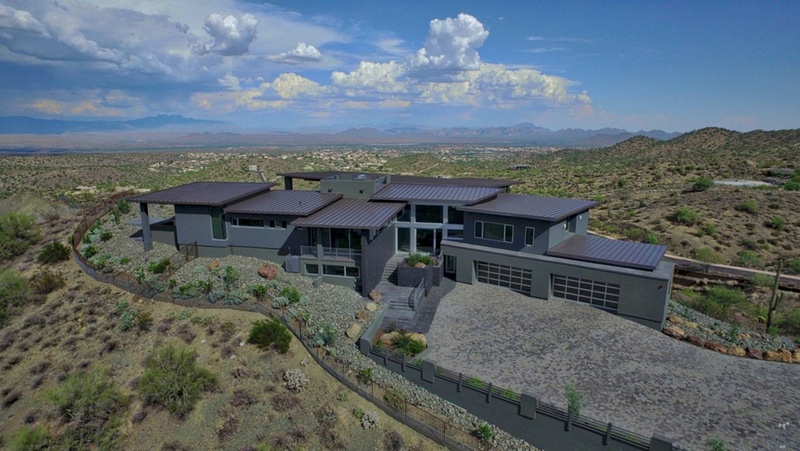 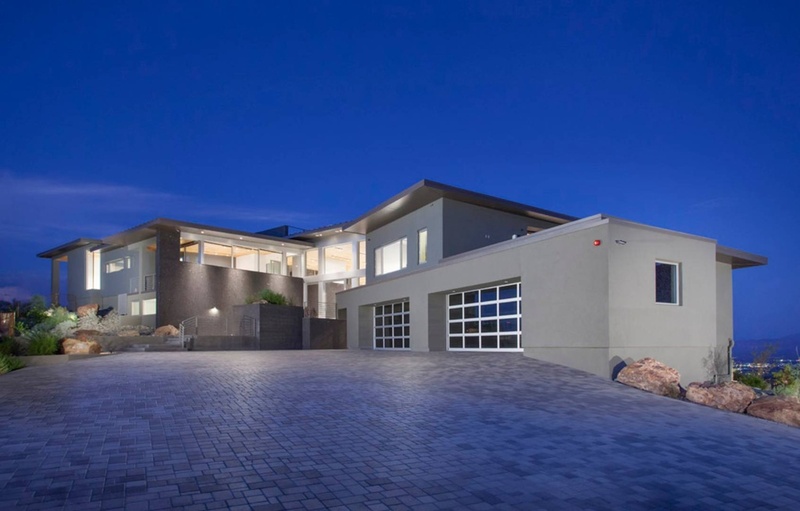 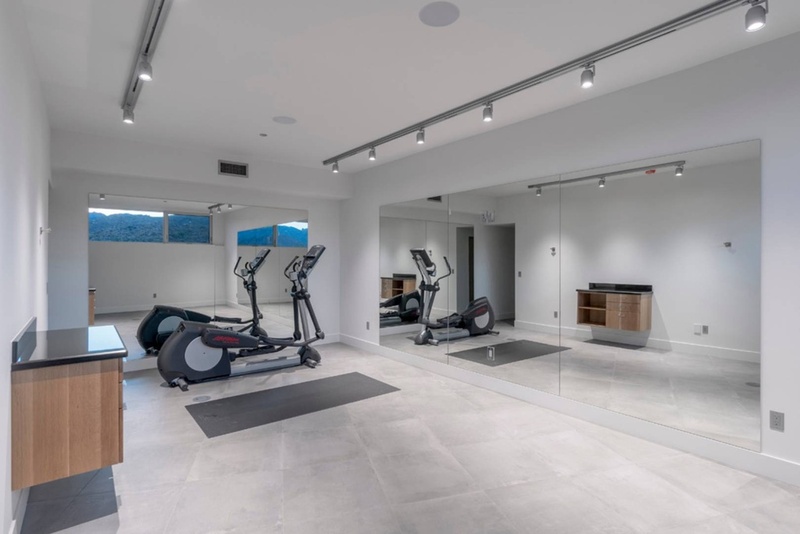 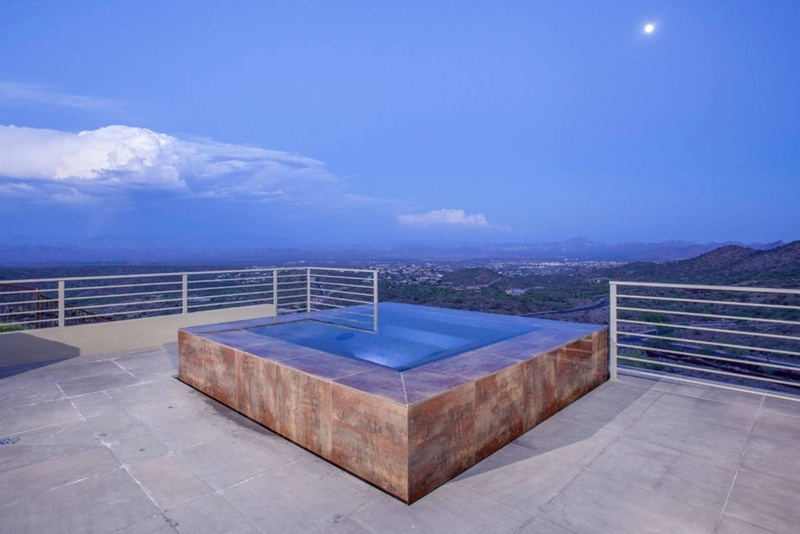 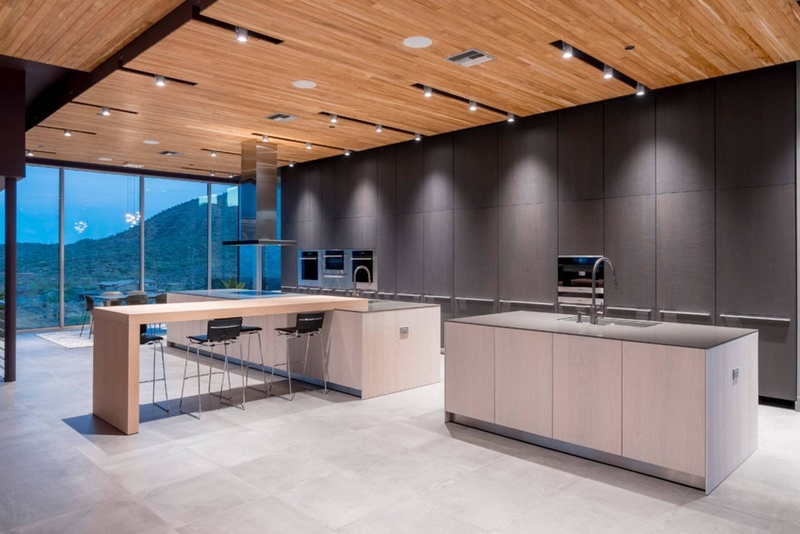 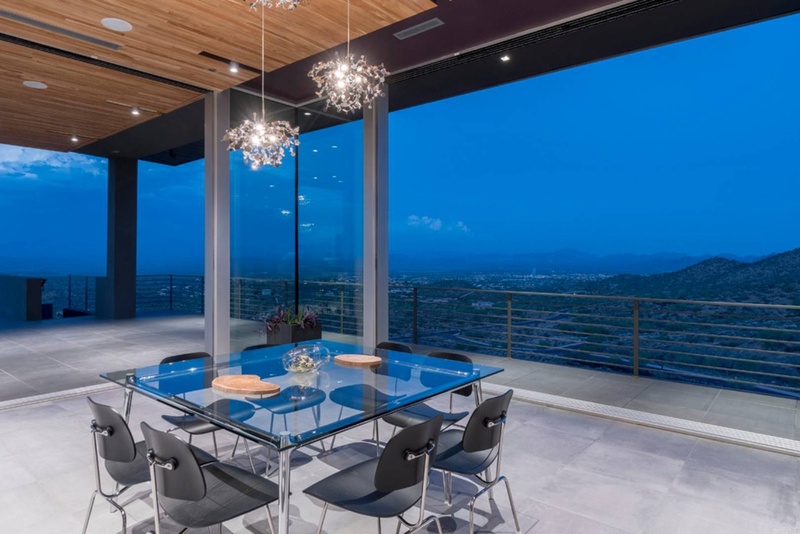 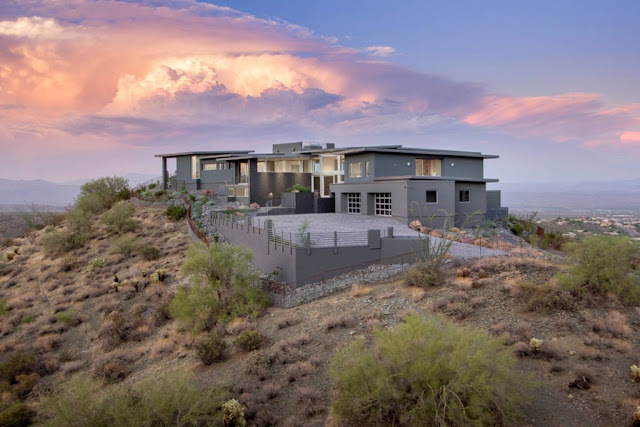 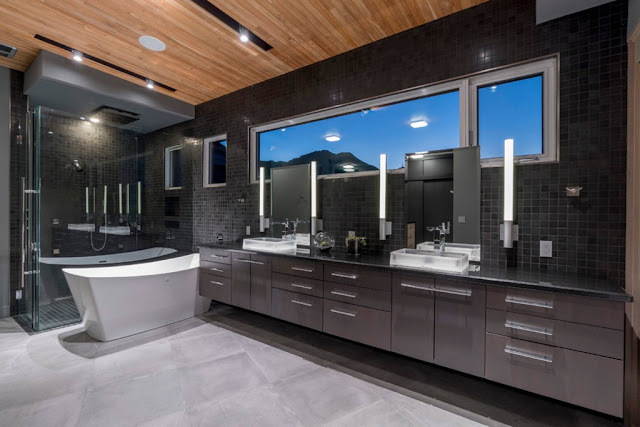 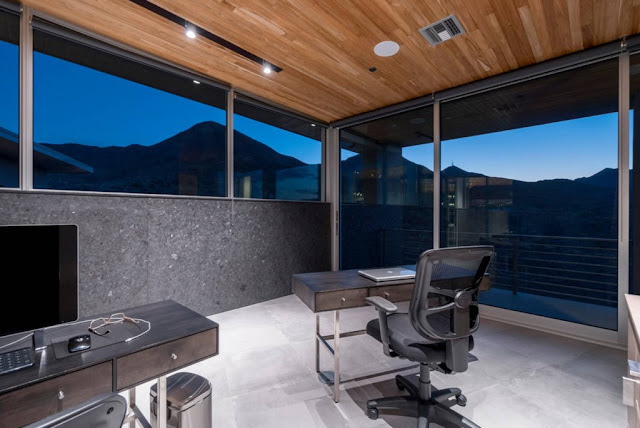 This contemporary mansion in Fountain Hills, AZ was built in 2016 and is situated on four acres of land that is perched 1,000 feet above the valley floor and boast panoramic desert and mountain views from virtually every room. 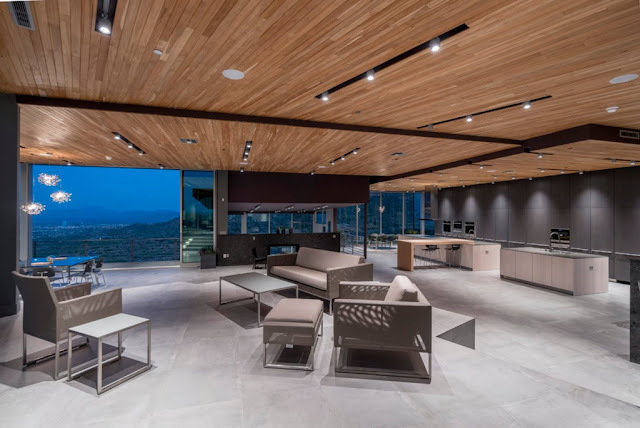 With an open floor plan and walls of floor-to-ceiling glass, this masterpiece seamlessly blends indoor and outdoor living spaces. It features approximately 10,480 square feet of living space with five bedrooms, seven bathrooms, two-story foyer with staircase, elevator, an open-concept elevated living room, gourmet kitchen with double islands, and dining room with movable glass wall, sunken family room, home office, exercise room, play room, an additional office, guest wing, a four-car garage, and much more. 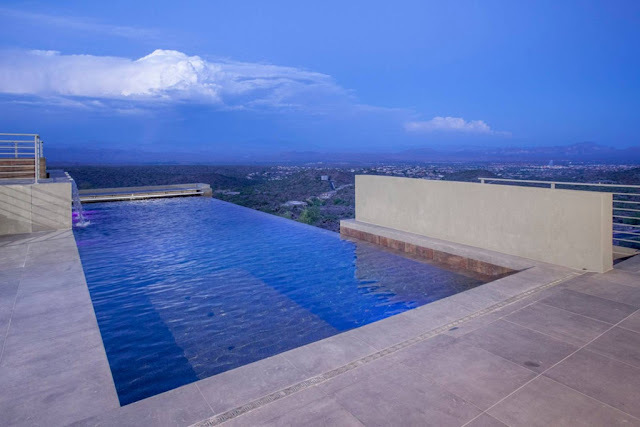 Outdoor features include a motor court, rooftop and lower terraces, BBQ kitchen, courtyard, covered and open patios, infinity-edge swimming pool, and separate spa.